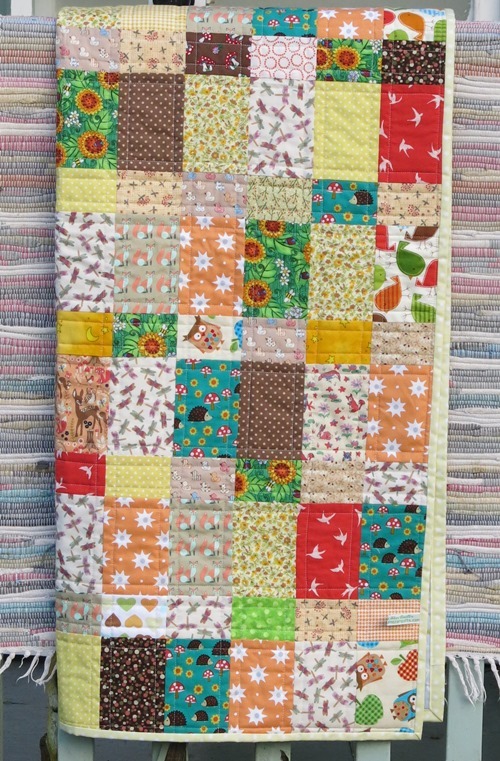 I used lots of small pieces of fabrics which I have been saving for just such a quilt with a 'throw everything at it' approach which always seems to turn out well amazingly! The pattern is a 'bricks and mortar' one. Most the pieces were put up on the design wall to start with to get the balance right with the darks and lights. When it all got too big for my small wall, I used the floor too, a good reason to hoover the carpet of pesky threads! 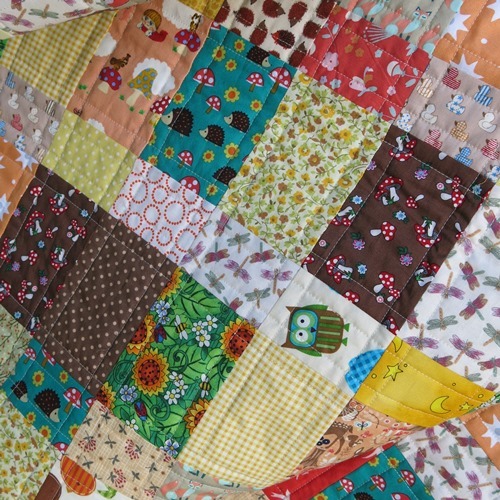 With all the patterns of the different fabrics, it is magical how they almost become joined up in your mind when you look at the over all quilt top and the darks and lights of the colours become much more important. I love this style of quilt but I can quite understand that it might be too much for people who like a calm life! 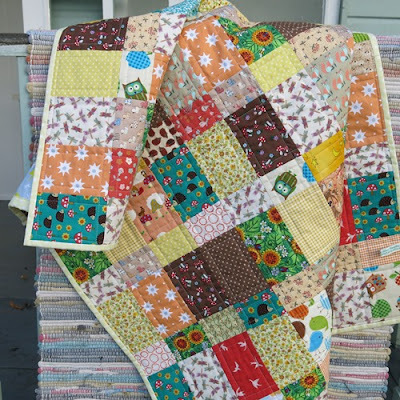 The quilting is a simple quarter of an inch from the seams to create a grid and little squares in the corners of each brick. 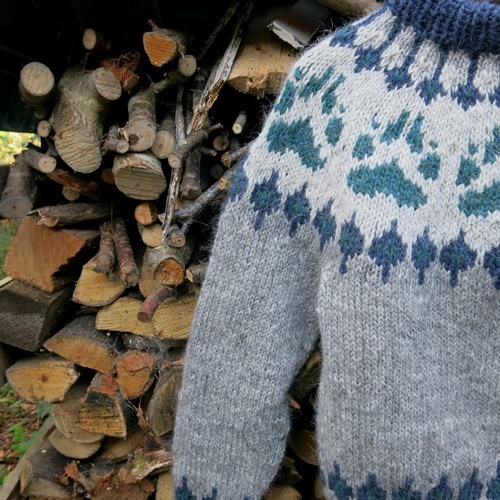 I have attempted to take the photos in the summer house down the garden but it is cold and a bit muddy.... how do quilt makers take such gorgeous photos of their quilts in the snow and on the beach etc without getting them dirty? It is a mystery to me and one I continue to struggle with! Another finish is The Beast..... which felt as though I was knitting a large dog at the finish! 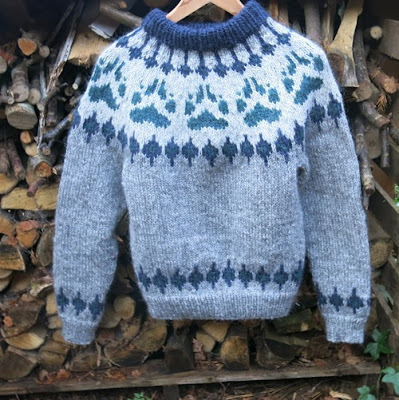 This is a jumper I have been knitting for daughter who is living in Norway, temperature -7 degrees, lots of snow, beautiful pink twilight all day and many many sledge dogs to exercise.... Again I have tried the arty photo, the jumper ended up covered in leaves and bits of twig, this doesn't seem to happen to those clever knitters who have snapped their finished jumpers on reindeer skins beside camp fires and in the snow..... what am I doing wrong?? Husband looked at he photos and commented that people would think the wood pile was really untidy..... just another thought!!! I now know how the knit a yoke though and really I love the Lopi Icelandic wool which is so warm although a bit hairy and itchy so she will need a thick t shirt underneath. The knitting grows at an amazing speed too. Thank you for all your comments, I love to read them and will visit your blogs too if possible. 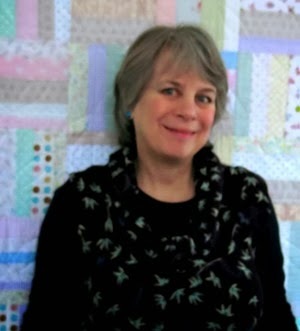 Comments are so encouraging and I love knowing that quilters from all over the world are visiting the blog. 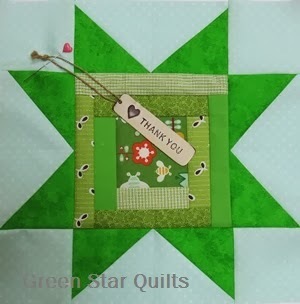 Thank you for looking in and saying hello, it is great to hear from you all and I'm happy to answer any quilting questions too. You can read more about how my quilts are made on the commissions page of my website. I own the copyright to all my photos and text. . Simple theme. Powered by Blogger.